hello my friends! i hope you’re having a happy day. i recently just got back from a trip to both london and paris, two of my favorite cities in the world! i contemplated making two separate blog posts talking about the fun happenings of each city, but then i thought, hey, it might be fun to give them each a little competition! i am often asked which of the two i like more or would recommend traveling to, so i’ve listed out some fun pros & cons of each — and of course, some photos from the trip to enjoy as you read! so whether you’re traveling to either england or france, or you’re plotting an epic european adventure, this one’s for you. i would say the cost of plane tickets from the continental united states to both london and paris are pretty equal, and also not as expensive as you might think! i have only ever flown direct to london, but have flown back home from paris many times! it’s a close call, but i think london may be a liiiittle bit cheaper to fly to, which makes sense, since geographically it’s a bit closer. if you watch for flight deals you can easily get a round trip ticket for less than $500. my past two trips cost me $343 round trip and $272 round trip, both flying from seattle — CRAZY! i’m sure it’s even cheaper the further east you live. so if there’s one thing to take away from this it’s that getting to europe is NOT too expensive. you can all save up and do it, i just know it! :) one point for london! this one’s for all you foodies out there…or those of you who like to eat simply just to stay alive! both london and paris have excellent food scenes! i think i’ve had some of my favorite meals in both of these cities! i would say london is GREAT for those wanting to eat a bit healthier — lots of greens and vegan spots and hip healthy food joints, where as paris is the place i tend to indulge in breads, pastas, and pastries galore. also add in cheese and wine for those of you who partake! both have great coffee/tea scenes as well, but i think i enjoy western culture that london emulates in it’s trendy shops and cafés. so when it comes to food, hats off to london, but that’s just my personal choice (as a trendy vegan like myself). i’m sure some parisian fans would argue to disagree. now, even though ALL of these places were absolutely delightful to stay at, i have to give this one to london, specifically for the st pancras hotel (AKA the hotel from harry potter, kings cross station, platform 9 3/4!!!). this hotel is an actual dream. a large castle, home to beautiful rooms and the best breakfast ever. it’s also connected to kings cross train station, which is SO convenient if you’re taking the tube to explore, or if you are traveling internationally! zach and i took the eurostar train to paris and it was such a breeze! literally woke up, walked out of our hotel room, and straight into the train station — too easy! if you’re looking for a cool hotel full of culture (and harry potter feels), or easy access to the train station, definitely book a night or two at this hotel!!! it’s a TIE! i guess i just can’t pick a favorite after all — however, i love both of these cities dearly, and i will continue to visit them for as long as i can! 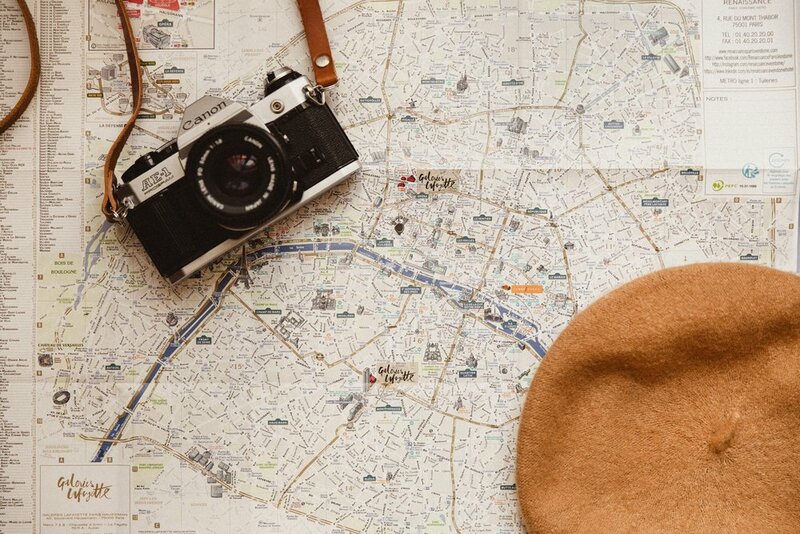 i hope this post helped or encouraged you to decide where you may want to roam next! any ideas? if so, leave me a note on instagram which you’d choose! until next time, keep on creating! getting around in both london and paris is a total breeze thanks to their incredible public transportation systems. i personally think the tube in london is a little more complicated than the metro in paris, because you have to tap in and tap out with a card each time, whereas in paris you have a ticket that scans once and then you’re good to go. plus, the paris metro is by number (line 4, line 8, etc.) whereas in london, it goes by the name of the end of each line, which can get a little confusing, but still not too tricky! the tube in london is a lot newer than the metro in paris, but for some reason i just like the metro more! they are both around the same price for say a one or three day ticket, but i think paris is a bit cheaper, so paris wins this round in my book! ok, so something you’ll need to know is both london and paris are more expensive than the united states. not drastically, buuut think $17-$20 for a meal instead of $13-$15 like it is in the usa. 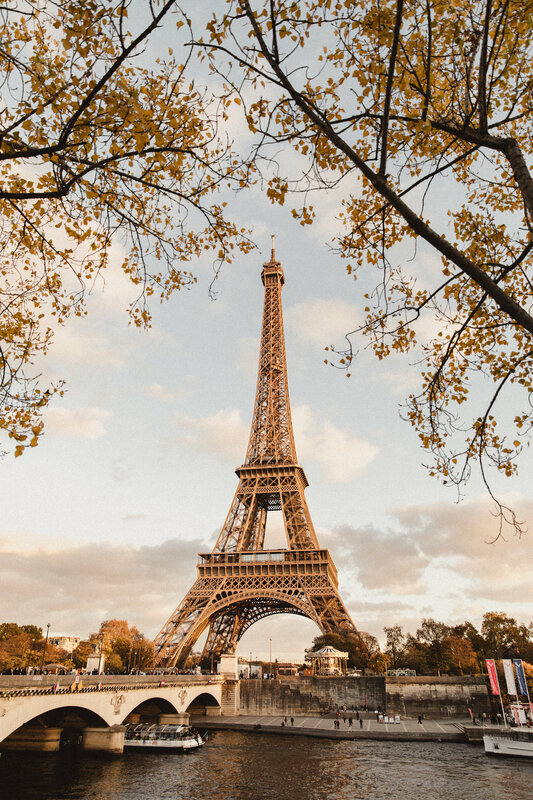 paris is definitely a bit cheaper than london, but both are expensive enough to where you’d want to plan out a budget for food, transport, lodging, etc. latte’s are $6, avocado toast is $15, but it’s fine…we’re millennials and that’s what we do, right? :P overall, i personally would probably budget $1000 for a week in either city (you hopefully won’t spend it all, but it’s nice to have just to be safe)! if i have to pick a winner on this one, i’d say paris takes the cake. 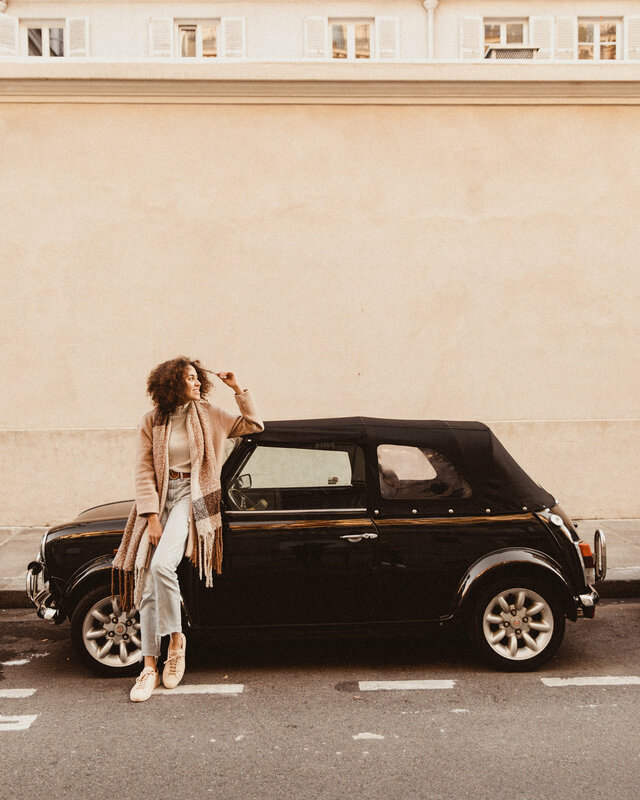 london and paris both have some pretty spectacular places to stay, from boutique hotels to trendy airbnbs and cottages, you really can’t go wrong in either city! however, i will give a list of a few places i’ve stayed, and which i liked best! paris: hotel monge, hotel fabric, reniassance vendome. for the final category, i want to talk about the actual ways to spend time in both of these cities, what they have to offer, and what you must absolutely see and do. i’m going to start right off the bat and say that i personally enjoy walking around paris quite a bit more than in london. not that london doesn’t have it going on, because it does. i love the brits! but let me explain. i am so so so in love with the parisian architecture, that i literally never want to stop taking photos there. i feel like there’s a few more touristy attractions here as well, ie. arc de triumph, notre dame, the louvre, palais royal, the river, luxembourg gardens, and of course, the la tour eiffel. 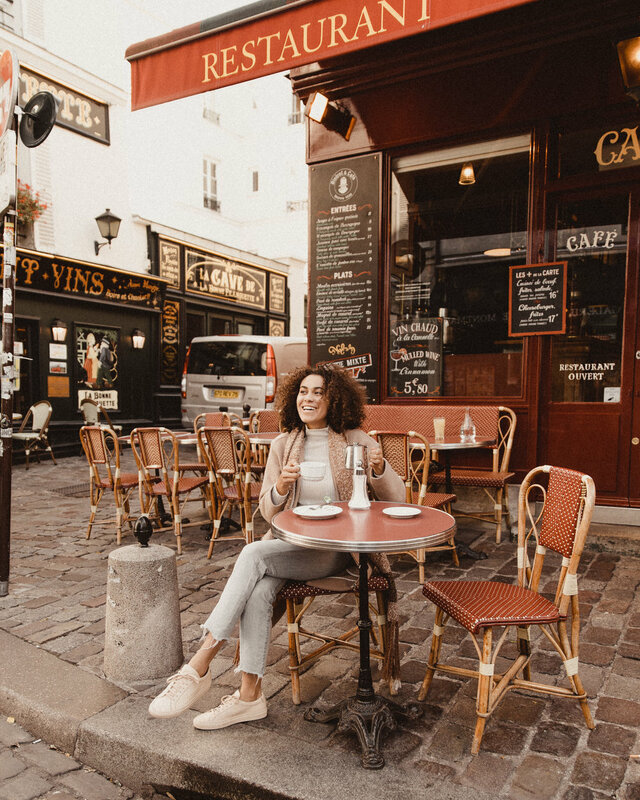 i love walking through each of this places and simply strolling the streets, stopping at bakeries and cafés and truly living the french life. london, on the other hand feels a bit more americanized, in my opinion. there is definitely a lot of old architecture as well, but there are also a fair amount of more modern looking places, lots and lots of fast fashion (which we are not fans of in this house ladies n gents! ), and overall feels kinda like an older new york city. i truly do love it there and honestly would jump at the chance to live there if i could, but big ben, tower bridge, and buckingham palace just don’t do it for me like the eiffel tower can! not to put a downer on london though, because it really is lovely. the outskirts and suburbs are a 10/10. shoreditch, notting hill, brighton, lingfield (actually probs don’t go to lingfield, it’s v small) are all some fantastic little gems that aren’t in the heart of the city. overall, however, i have to give this one to paris! ok…now let’s tally it up!